Do you want organise a fair or event? Space distribution and Exhibition Design: Booths and Comun areas. Trademark design and Identity Brochure of exhibition. Expositor Services Catalogue Design. 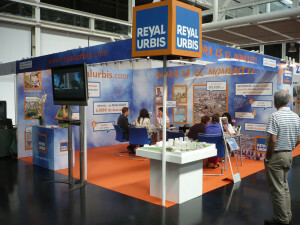 All the services are offered to the exhibitor in right form, with prices and with the event image. Technical documentation, booth presentation, furniture renting, labeling, lighting,etc. Basic web with 5 subcategories. Putting on the market the Event . Marketing curse for all exhibitors interested in the event. Free technical advise for all exhibitors. Complementary activities and other events in the exhibition. Photo Book of the event. Do you want to perfom your exhibitor booth? 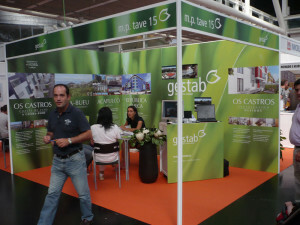 Renting a Design Modular Booth, with curves, decorative accessories and differents heights. Creating cubes and decoratives figures in the front of the booth. Labeling with vinyl the business name place in front of the booth. Exhibition Marketing Advise, for helping you to participacte in the event, and to take advantage of all opportunities there is in the fair. We start to do from where you can´t do, we help and collaborate with you. Please contact us.